Welcome back to the Holistic Spaces Podcast! One of our listeners sent in a question recently about bathrooms and feng shui, so I thought we'd use this week's podcast to offer a little insight on bathrooms and their significance in feng shui. Bathrooms are the second most commonly renovated room in homes, so I'm sure many of you will find this useful! I hope this episode has been informative for those of you completing bathroom renovations as well as those of you who are interested in feng shui or looking to make adjustments in your bathroom space. Please feel free to contact us with any additional questions on bathrooms, feng shui, holistic living and green design. There's a good chance it will be featured on our Q&A Sunday series or even a podcast episode! 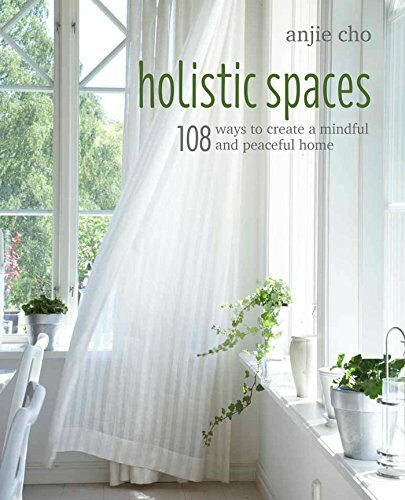 If you're interested in learning more about feng shui and holistic living, don't forget to sign up for our Holistic Spaces newsletter as well! We send out tips and insight once a month. If you're looking for specific insight or answers or you'd like advice on a more personal level, take a look at our new 15-minute consultation call! Don't forget to also check back next week and catch our very first episode of the mini-series, Astrology and Feng Shui. Our brand new mini-series, Astrology and Feng Shui, begins next week and will be available on the first of each month.